Ever go to write on social media and wonder…what the heck do I write? Or, how do I write it in a way that will get people to pay attention and want what I got? Well, I wondered the same thing and set out to learn how I could do social media a different way in order to grab the attention of those who need the solution I had for them. 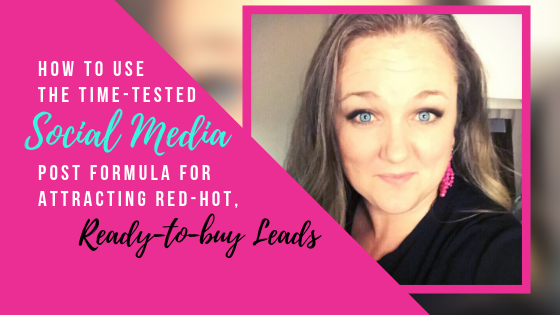 So, I found a few mentors in the online space and one, Ferny, shares a time-tested social media post formula below that will have you attraction ready to buy leads. How would you like to learn the all-time #1, time-tested social media post formula for attracting red-hot, ready-to-buy (or ready-to join) prospects into your business? Because that’s what I’m about to reveal. This formula works whether you’re posting on your personal Facebook profile, running an ad, or posting on your fan page. t works if you want to attract prospects to you personally, it works if you want to post on your fan page, and it especially works if you’re using the Facebook advertising platform. Just imagine having your post reaching literally MILLIONS of people who are highly-targeted and likely to respond. Well, guess what—it’s entirely possible. Now obviously, I can’t cover every single aspect of advertising on Facebook here (as that’s far too much to cover in a single post). But I will definitely touch on the fundamentals, so you can understand the process, especially as it relates to the most-effective words and structure for absolutely anything you post—online or offline. To start, you want to write so your post will be attractive to the millions of people in a highly-targeted market. For example, say you’re trying to attract people in the weight loss space (an industry with huge mass-market appeal). Here’s what you do: you’re going to promote your post to people who are ALREADY interested in losing weight or getting healthy and are currently following your competitors. You want to find people who have already raised their hands and expressed interest. Facebook makes this ridiculously easy! If you’ve built up a following on your personal profile, this post formula will work organically. However, if you don’t have a following, then you can, with the click of a button, advertise to people who are followers of any public figure in your target audience, using your fan page. In any persuasive message, you want to lead with the problem, agitate or expand it, then present the solution. First, you want to convey or call out the pain or problem your solution, your product, or your opportunity can help solve. This is where most network marketers totally screw up their approach, because they don’t bother to LISTEN to their prospects to identify what problems they have first. 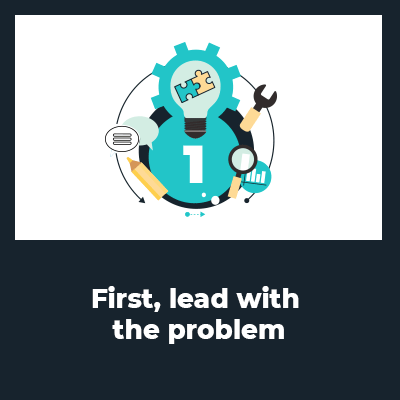 They just barge right in and offer their solution—without connecting that solution in any meaningful way to help their prospect with their specific problems. Don’t do that (it doesn’t work)! When you’re presenting this formula in-person, one-on-one, before you do anything else, you have to first ask QUESTIONS and listen to your prospect’s answers. This is how you pinpoint your prospect’s exact problems. 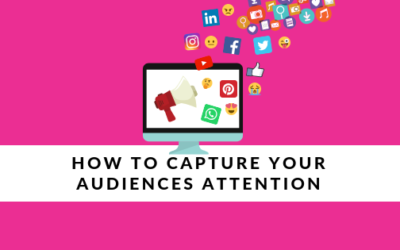 When you’re marketing online, putting a post on social media, you’ll have to assume there’s a certain type of problem, since you’re not actually talking to anybody one-on-one or in person. You can, of course, gather specific information through surveys or by analyzing responses to previous posts and so forth, but let’s assume you already know what the problem is. The first step is to call out and convey the problem. Convey the problem by telling your story. You don’t have to address somebody out there and talk about their problem. You can describe YOUR experiences in dealing with the problem, and share your stories. The agitate step is not about manipulation. Just describe the impact the problem will have on your prospect’s life, if they don’t do anything about it—especially if they don’t do anything. Let’s say I’m selling training in network marketing. I’ll start by sharing my story. I’ll not only say I was tired of prospecting, and recruiting, and dealing with objections, I’ll share specific examples about how it feels to deal with objections. Or, using the weight loss example I used earlier, you’d share how being overweight impacted your own life. In other words, describe what life looks like—and feels like—with that problem present. You’re essentially conveying the impact. Well, what happens if you don’t get your swimsuit body back? How does that limit your experience of going to the beach? So, the “agitate” step deals with the impact the problem has on your life, and what happens if you don’t do something about it. This step is where you share that you’ve discovered a solution for the problem that you’ve agitated. You don’t want to share your discovery outright. You want to give them a reason to reach out to you, a reason to respond to your ad. In this step, you’re sharing about your discovery in vague terms, and then describing the positive impact the solution made on your life. You’re describing what you’re now able to do…what your life looks like now…with the problem solved. Finally, give them a call to action. Tell them what to do next to learn more about the solution you’ve just shared. If you’re selling a product directly, direct them to a link where they can buy your product. In the network marketing space, whether you’re selling a product or opportunity, I highly recommend you make people proactively reach out to you (instead of you reaching out to them), especially if you’re doing any type of post on your personal profile. This allows you to educate and pre-qualify your prospects. In practice, this means whenever someone responds to your ad, they receive an automatic email or message in their inbox with more information about your product or service, and you can continue to follow up with that person via automated broadcasts. You can even create an “autopilot” sales process where you can automatically present your solution to them, without being personally involved. 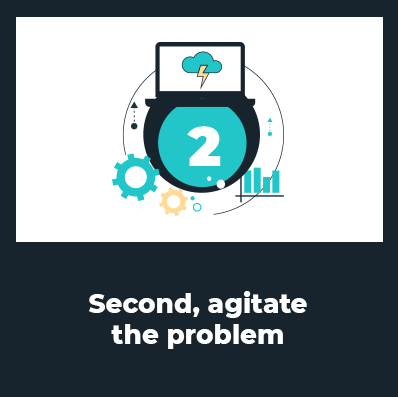 This allows you to give your presentation without having to deliver it in person, so that when you finally hop on the phone, your prospects have already gone through this process of problem, agitation, solution, and they’ve taken the actions you led them to take. They’ve already learned about the solution that you’re conveying to them. So by the time you hop on the phone, or talk to them on a web-conference call, they’re pretty much already sold. Maybe they have a few last-minute questions, and the outcome is pretty much set. That’s the power of using this structure. Especially in network marketing, most people don’t realize all sales or influence-type communication has to follow a kind of structure and the more structured you are in your communication, the more effective you’re going to be. I challenge you to implement this post structure right away! In fact, you can use this structure to evaluate the posts you’ve previously written. Maybe some of your posts, almost by accident, were successful and you’re not sure why. Go back and ask yourselves some questions. Did I state the problem clearly? Did I agitate the problem? Did I expand the problem and talk about the impact of that problem? Did I provide a way for them to communicate with me to learn more about the solution I discovered and how it changed my life? 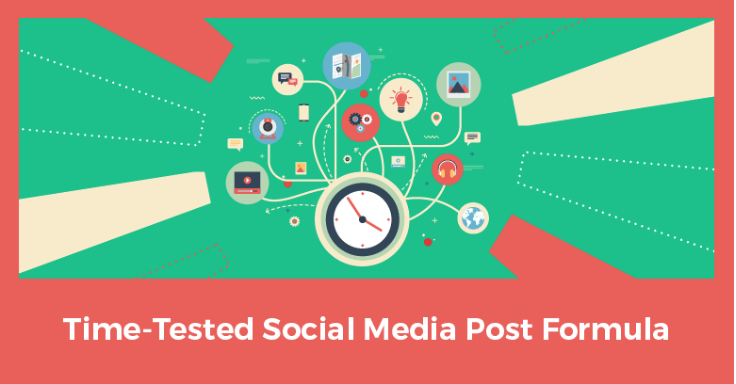 Evaluate your previous posts and ads. Read through them and answer the above questions. See any patterns in your successful posts? Can you see instances where you’ve missed a step and things didn’t perform as well? t’s a video course where I’ll walk you through how to recruit and sell using simple online systems. The entire formula starts with being effective in communicating through social media, whether you’re paying for those posts or they are organic posts on your personal timeline. or do you plan and use strategy? Finally, an easy way to recruit, rejection-free, without wasting your time and money chasing dead-beat prospects and leads. Get access to a free 10-day Bootcamp from my mentor Ferny where you will learn all about Attraction Marketing and how to attract people to YOU. A FREE Mastermind for Entrepreneurs and Network Marketers joining together to gain insight, learn and sharpen skills needed to succeed and help the fellow Mom Boss to stay home and raise her babies and create that freedom she dreamed of! HereLearn how to generate traffic to your website.